One year ago tomorrow Tunisia will celebrate the first anniversary of the flight of Ben Ali and his reviled wife to Saudi Arabia. And yet, to talk to Tunisians, nothing has changed. This chorus of negativity has been a common theme since the revolution, leading to protests that later fell the first interim government, and now are a thorn in the side of Tunisian industries and the newly elected government itself. 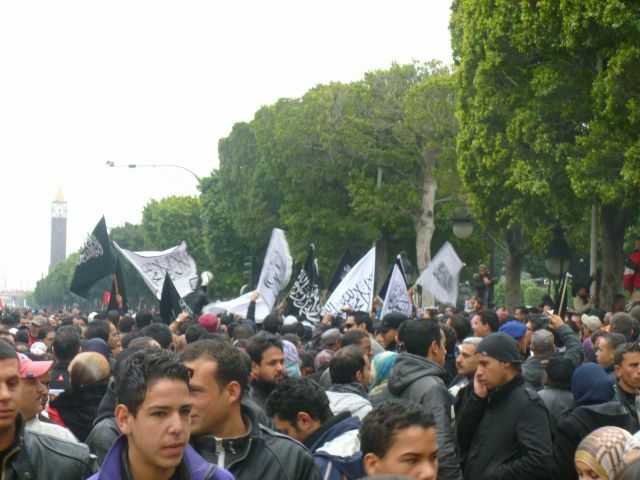 Since the new year, a wave of self-immolations across Tunisia has shocked Tunisians. The BBC reports that in the 6 months since Mohammed Bouazizi’s death, 107 Tunisians attempted to light themselves on fire. Meanwhile, following a wave of protests in the phosphate mining industry, Tunisian petrol workers began striking this week. On the same day, protests erupted in front of the Ministry of the Interior over the perceived lack of concrete changes to the security apparatus. A year after the revolution nothing’s changed. At least before things were safe on the streets, you could go out when you liked. Unemployment’s gone up to at least 800,000 today. Nothing’s changed in Tunisia. While distress is natural for a people that have undergone the biggest cultural change since their independence from France in 1956, can one really say that nothing has changed? 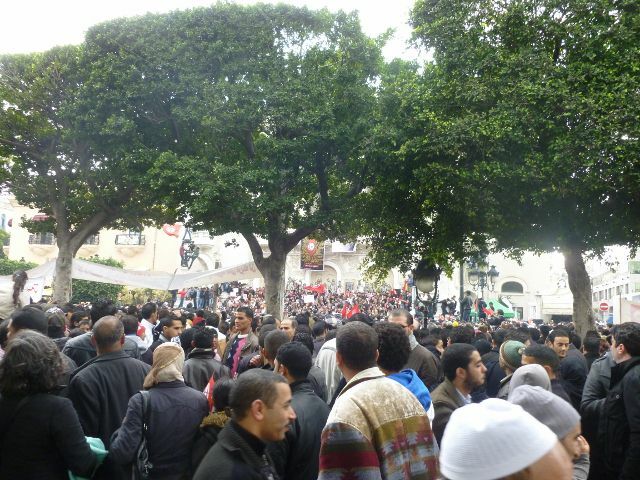 Change in Tunisia, imperceptible to many, far too slow to others, has indeed come to Tunisia. Here are five concrete ways Tunisia has changed, for the better. 1) Freedom to Criticize: This came almost instantaneously after Ben Ali’s departure – and is perhaps the freedom most exercised by Tunisians – criticizing their government. I noted that only one day after Ben Ali’s departure, the cafes were louder. What before had to be said behind closed doors and in the company of only the most trusted confidants, Tunisians loudly and proudly shouted on the streets. Magazines proliferated. Everyone under 30 seemed to be practicing citizen journalism. While the Stasi-like police state has been dismantled, Tunisians’ ability to protest has not come without problems. The well reported stories in the west about the attack on a Tunisian cinema (for airing a film about an atheist in Tunisia) overshadowed more sinister stories, such as the stories of Nabil Hajlaoui and Samir Feriani. Both men were held in Tunisian jails for openly criticizing the military and the interior ministry, respectively. Other cases, such as restrictions on internet freedoms or the continued government control of key media outlets are also cause for concern. While concerns remain, Tunisians do not appear on the verge of easily giving up their long-repressed rights to criticize their government. And there are signs that the government itself is taking this into account. Following journalist protests, the government has promised to review its nominees for key press positions. 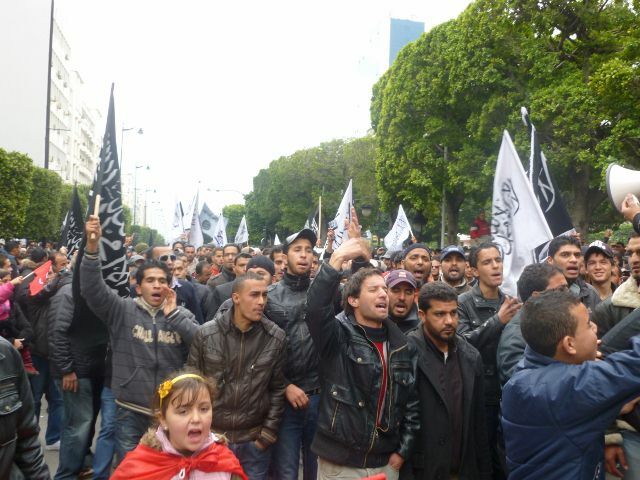 2) Protests: Protests have been complicated in post-Ben Ali Tunisia. Seen as a hard won right by those who risked their lives against the regime, they have also frustrated Tunisians who think that protests have held back the country from getting its economy back on track. Stories such as that of the Japanese company Yazaki, which has threatened to pull out of the country because of ongoing worker sit-ins, are frequently reported. 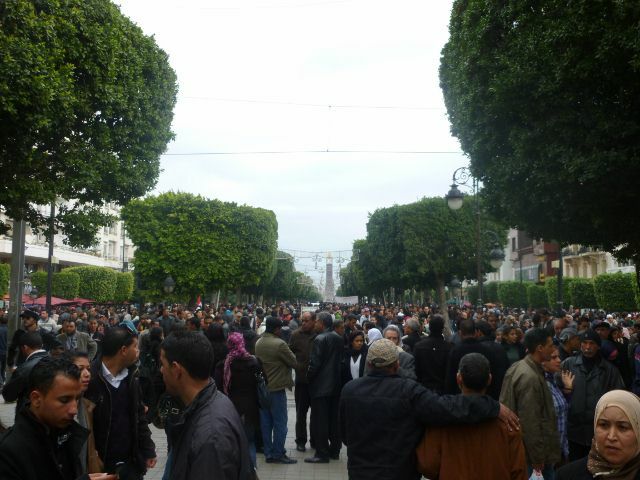 Strikes in Tunisia are further complicated, like so many things, because of the corrupt policies of the previous regime. Worker unions had been co-opted by the previous regime; they were unable to protect the interests of Tunisian workers. This allowed the government to suppress wages and attract foreign investment. The foreign investors who profited from this arrangement have undoubtedly been nervous about the waves of protests since the uprising. Despite government calls for moratoriums on sit-ins (both under the interim regime and the current, elected government), Tunisians continue to exercise their right to free assembly and organization. Worker protests are bolstered by the ongoing support of civil society activists who have called on the government to protect their rights and prosecute corruption under the previous regime. 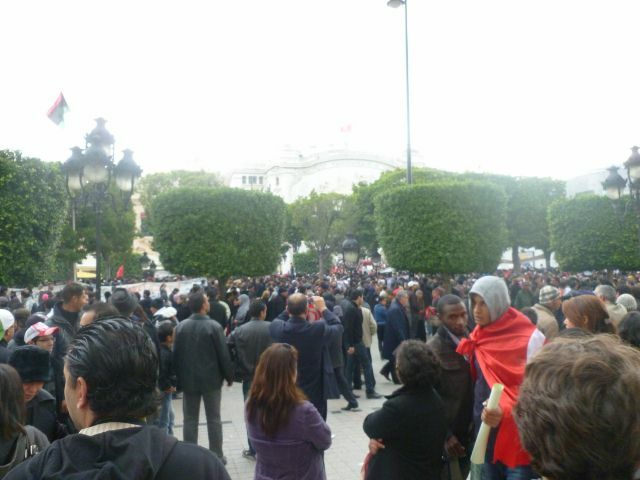 Immediately following the investiture of the constituent assembly, various groups from around Tunisia staged daily protests to urge legislators to uphold their campaign promises. 3) Police: Feared under Ben Ali, and for good reason. Police in Tunisia were well-known not only for their undercover surveillance, but also their brutality. You don’t have to go far to meet Tunisians who were themselves, or had close family members, tortured in one of the interior ministry torture chambers under Bourguiba Avenue. 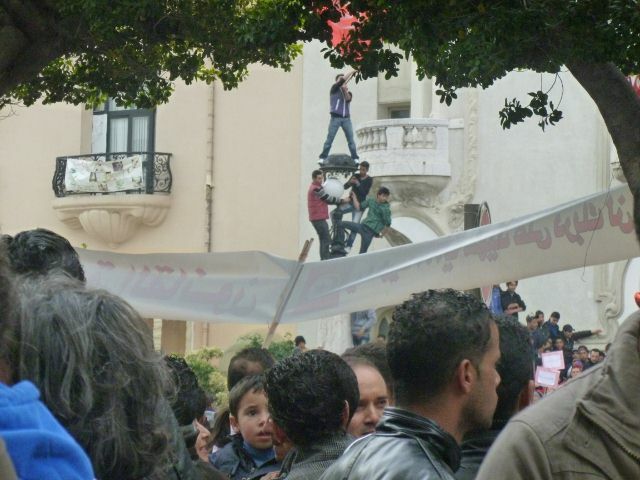 Police reform remains an absolutely vital issue in Tunisia, witnessed by this week’s protest at the Interior Ministry. 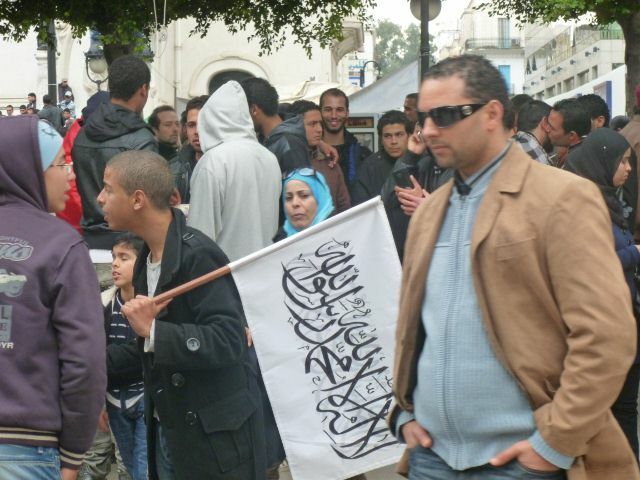 However, most Tunisians would admit that the threat of arbitrary arrest has significantly decreased, to the benefit of religious fundamentalists and civil libertarians alike. Entrepreneurs were increasingly punished under Ben Ali. If you ran a successful business, the family would demand ownership. If you were a taxi cab driver, your permit would be renewed only if you bought a car from a Trabelsi dealership. If you were a civil servant, you were obligated to take out loans from one of the Trabelsi owned banks. While the government touted economic growth figures, the average Tunisian increasingly felt marginalized. While corruption will continue to be a part of Tunisian life, and is a continued risk no matter which party is in power, the kind of coercive economic corruption practiced under Ben Ali has all but disappeared. 5) Mentality: Perhaps most importantly as Tunisia begins to build and rebuild its institutions that will guarantee its liberties, Tunisians more than ever before have a mentality that is premised on basic freedoms – and they know that their voices count. The wall of fear built by Ben Ali has been destroyed. 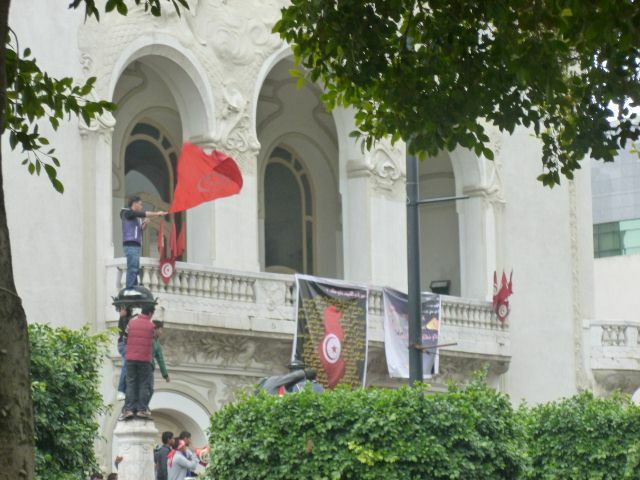 Rather than being the subjects of history, Tunisians today know that they have the power to affect change. I cannot pretend that all is well in Tunisia. Millions still suffer from poverty and lack of opportunities. The political risks remain enormous, and according to history – the odds are against Tunisia’s success. 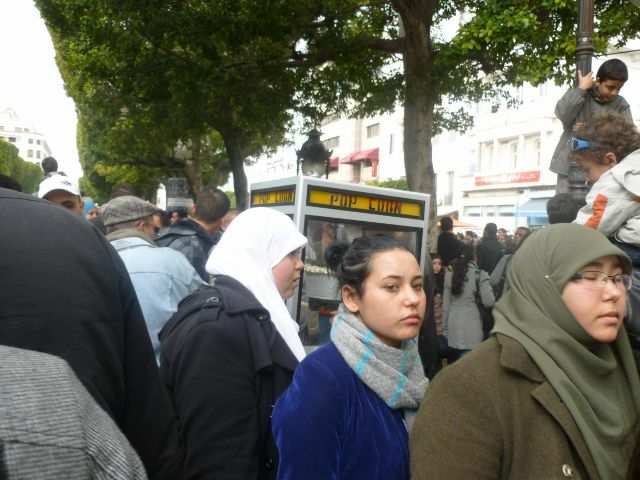 At the same time, I look at Tunisia today and see that I have more freedom today than I did one year ago. 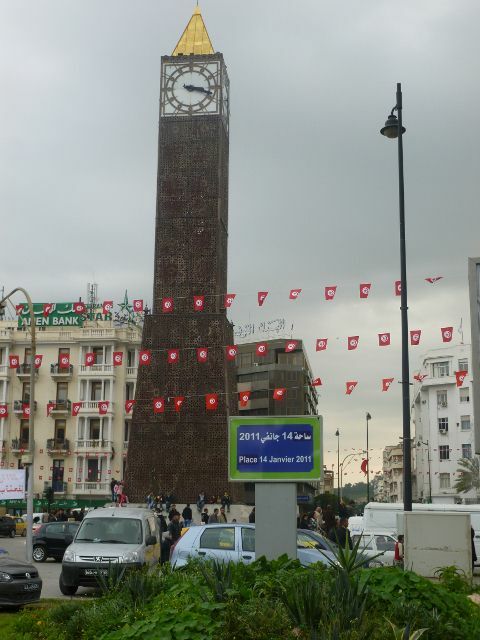 I look at Tunisia today and see that I have more rights today than I did one year ago. That’s progress. I generally try to write more about political events in Tunisia and how they can be interpreted from various angles, staying away from political commentary. But lately, I can’t help but feeling a little bit disappointed at a lot of the commentary on Tunisia’s successful democratic transition. Since October’s elections, Tunisia has fallen once again by the wayside, used primarily as a reference point of relative success compared to the failures of the “Arab Spring.” Article after article talks about the carnage in Syria, the dashed hopes in Egypt, and the worry over Libya, before casually referring to the “don’t worry about a thing” success story that is Tunisia. I would argue that this attitude is one of the greatest threats to Tunisia’s democracy and to Tunisia’s democratic activists. 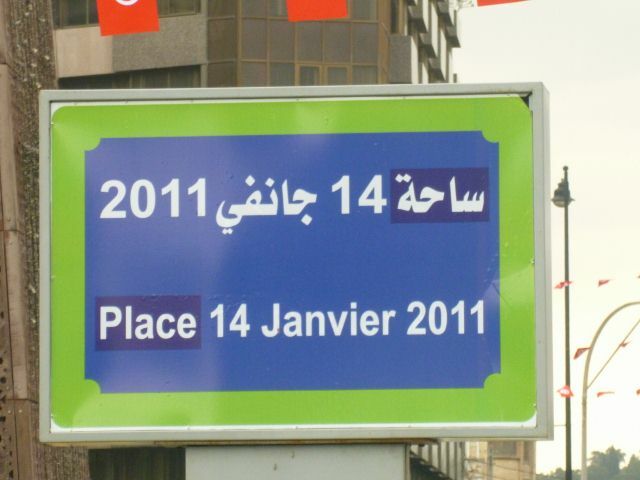 Driving the storyline of Tunisia’s success, both by Arab and western commentators, are the successful elections and transition process, the moderate strain of Islam in Tunisia (highlighted by the moderate Islamist party, Ennahdha), and many demographic factors, such as Tunisia’s homogeneity and lack of a resource curse. Truth be told, I wrote about this in the hyopethitical as far back as June in a piece at Nawaat.com, 5 reasons why Tunisia will succeed and the rest of the Arab Spring will fail). These approaches are valid and natural. 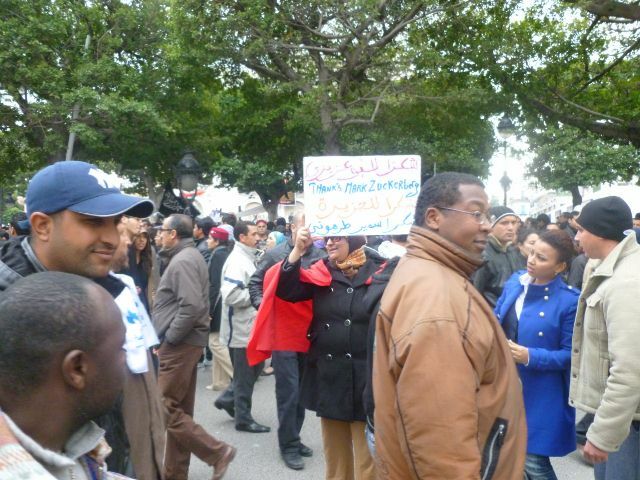 Tunisia is blessed by many common factors endemic to democratic countries and Ennahdha has spoken like true democrats. But, this approach also risks lowering the bar for Tunisia compared to well functioning democracies. It will be tragic if Tunisia becomes a success, merely by ending up better than its Arab neighbors, and not based on its basic freedoms and institutions. The irony of talking too early about the Tunisian success story is how closely it mimics western treatment of Tunisia under the Bourguiba/Ben Ali dictatorships, where the common refrain was: “of course they’re authoritarian, but look at the economy and the state of women.” Under Tunisia’s new rulers it may not be praise for women’s rights, but rather integration of Islamists into the democratic process, or greater press freedoms, while disregarding democratic backsliding on many other levels. Overall, this strikes me as just as paternalistic as under the previous regime. If the new government does not enshrine political and civil rights into its new constitution, clean up the courts and the justice ministry, and reform the process of patronage between government and industry one cannot credit it for simply not being like Egypt. Tunisia’s smooth transition does not necessarily portend civil rights, merely a lack of civil war. 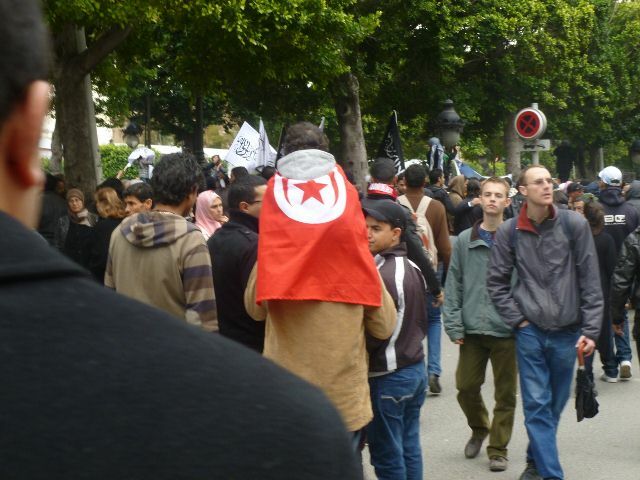 Tunisian civil society has blossomed in the past year. From the day after the elections, they have lobbied the government to ensure that their interests are protected in the new constitution. However, in Tunisia itself protests are often perceived as counter-productive – especially for a country that so desperately needs to get its economy back on track. Activists so far have concentrated their efforts on lobbying for the most basic of civil rights: open government, freedom of speech (including internet freedoms), and the rights of women. These activists need outside support to draw attention to their causes. Instead, what they are hearing is how well everything is going here in Tunisia. 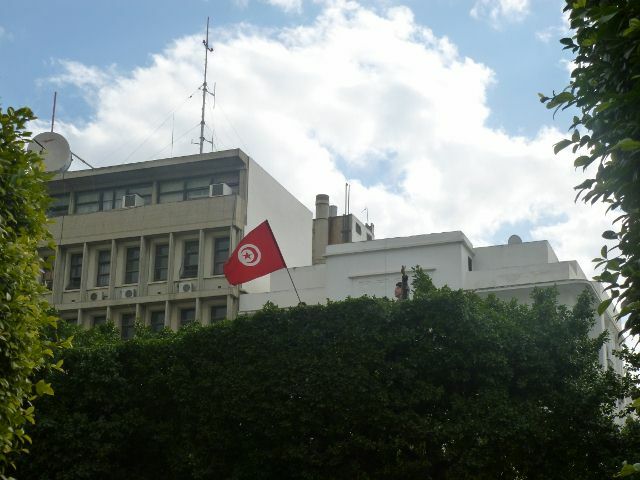 The government, after all, has promised to give Tunisians their rights and right the economy. But students of history know better. This is not a story of whether an Islamist government can be trusted. This is simply the effort to enshrine into law the rights that all Tunisians (and humans) deserve – whether or not they are in the streets or not. Without concerted pressure on the government, it risks backsliding on its democratic pledges – that’s nothing against Islamists or Ennahdha – that’s just the reality of political power. We’ve already seen one example this past week of the government enshrining a discriminatory principle into the “petite constitution” that only Muslims can be president (a moot point in a country that is 98 percent Muslim, but troubling nonetheless). Yes, it is normal to be hopeful for Tunisia. Yes, Tunisia has passed many tests in the past year. But the true battle for political and civil rights has not yet been fought. 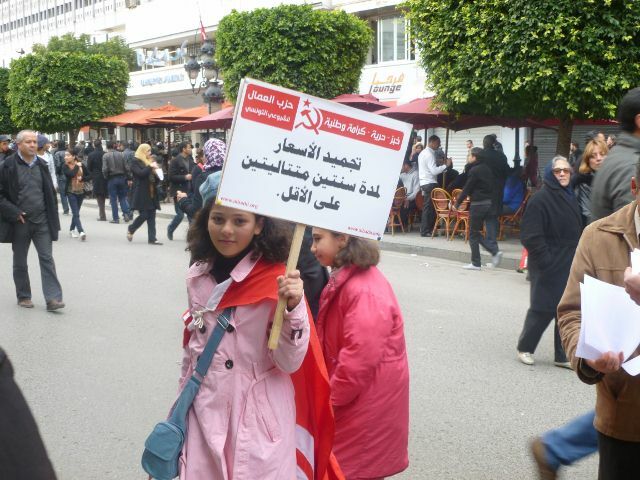 Officially, Tunisians have no more civil rights today than they did under Ben Ali. The constitution has yet to be written, justice has not yet been done against the former regime. Tunisia’s success will not be known today, tomorrow, or a year from now. 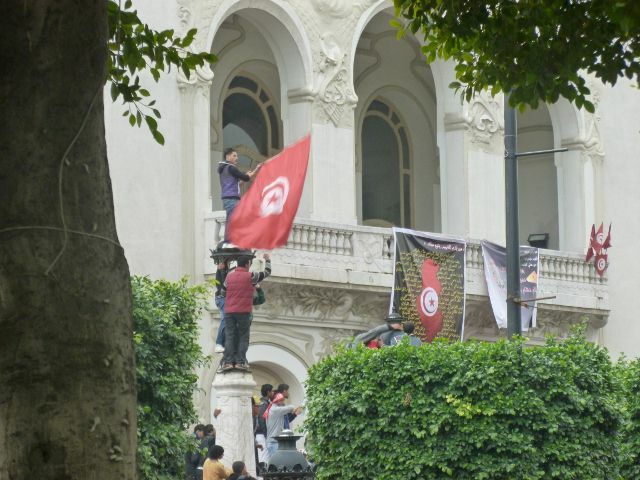 Until it is a success, one must continue to support the struggle in Tunisia.